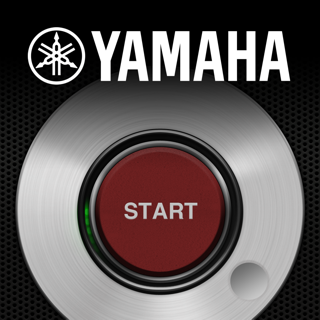 Simply the most accurate, MIDI clock driven metronome available on iOS. 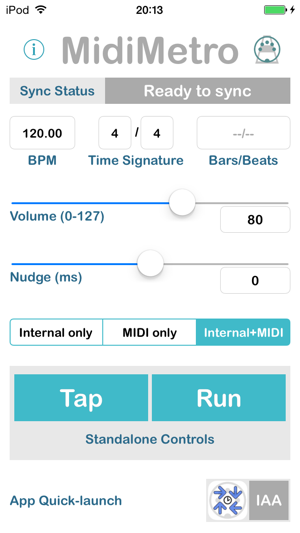 - sends MIDI notes out so can trigger metronome sounds on third party hardware or apps. 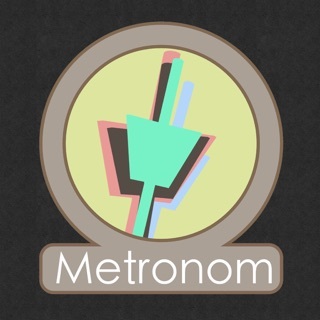 Our aim was to craft a metronome built around accuracy and external MIDI control. 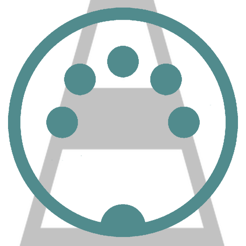 With this paradigm we have been able to devise a mathematical method for ensuring the metronome audio is bang on time with the MIDI clock signal along with a mechanism for dealing with transient jitter. Even when running internally, MidiMetro is generating and slaving to its own MIDI clock; a 'pure' architectural model. but could seriously use a Setlist/Song function for Pro use.